Shikha sitting at her home computer in Delhi knows the day of Rakhi is nearing and it will be the first time her brother is away from her on that day. He has gone to USA for studying business management. It is what she wanted for him but on days like these, she misses him the most and she knows her brother feels the same. She searches for online rakhi USA Courier services, if only there was some place she could choose a nice rakhi for her brother that would take care of delivering it as well. As sure as the day is bright she finds IGP.com, the folks who have been in the business of gifting smiles worldwide for over a decade. The collection of rakhis they have is amazing and so diverse and they also have his favorite Indian delicacy, laddoos to send along with the rakhi. 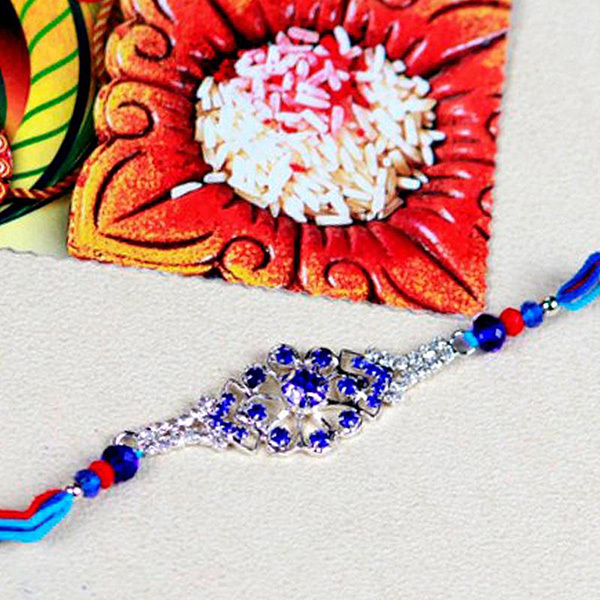 She finds a rakhi that is perfect for her brother, types in his address and pays online. It is that simple if you shop with IGP.com to send rakhi to USA. And just as she wanted, on the day of rakhi, her brother was enjoying the sweetest laddoos with the rakhi around his wrist. We at IGP make it a point to keep our promises, after all making the festivities special for our customers and their loved ones are what we’re here for. In Mumbai, Deepti has decided to do something special for her brother this rakhi who works as a doctor in Seattle. She’s uploading a picture of her brother and her together taken when they were in school, on IGP.com. The picture would be printed on a personalised wall clock by IGP. It’s a lovely gesture but more than that its a message to send with her Rakhi to USA. The methods of expressing love on this blessed day of Rakhi are endless here at IGP.com.